14.06mm x 6.57mm / 0.554in. x 0.259in. Ichthus Accent Charm by Rembrandt Charms. The width is 1/2 of an inch. 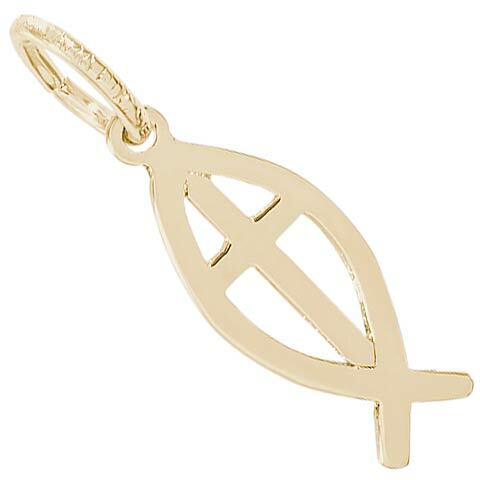 Make room for faith on your charm bracelet with our Ichthus Accent Charm. This jewelry is symbolic of early Christianity. Add this Ichthus Jewelry piece to your favorite Symbols and Expressions Bangle Bracelet. All Rembrandt Charms are available in either silver or gold.